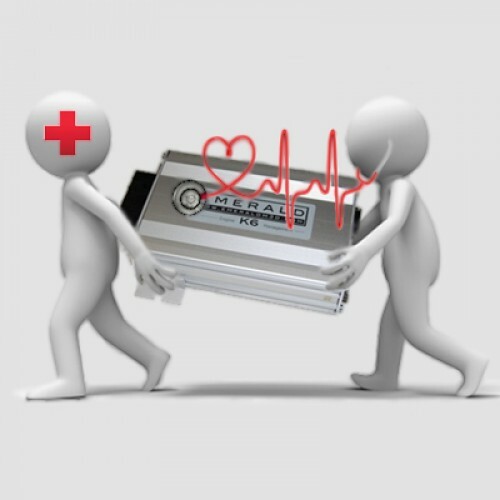 Once tested and the fault diagnosed a quotation for full repair of the ECU will be provided. The postage cost that will be added during Check Out is a return postage to the customer. It is the customer's responsibility to ship the item to us. If a fault is found and it is covered under the Warranty terms, your costs will be refunded in full. An ECU found to be fully working (as well as damage caused by accident, misuse, modification or damage caused by neglect) will not qualify for the Warranty. Please make sure that everything else (sensors, wiring, fuel pump etc.) are working properly before sending your ECU. For more info please see Warranty, Returns & Repairs section of our Terms & Conditions page. For items being shipped to Emerald M3D Ltd from outside the UK please ensure that "Mail order product being returned to manufacturer for repair - do not charge duty" is stated clearly and legibly on the outside of any packaging.